April Flowers Bring May Showers. Good Morning/Good Afternoon Everyone and Welcome to Digi My World. Kate here with you today. For my Project today I used the Let it Rain (Chelsea), isn't he so Adorable. 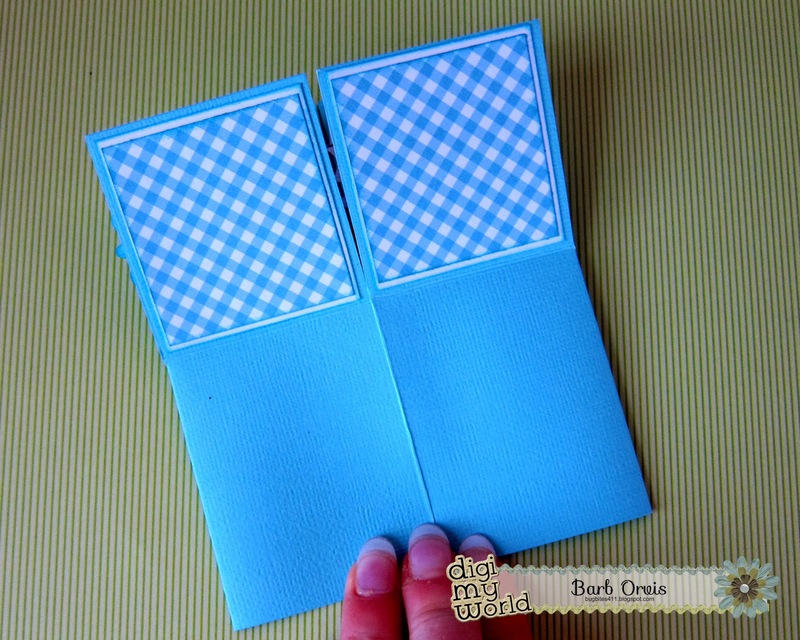 I used my Spellbinders to make my card base. 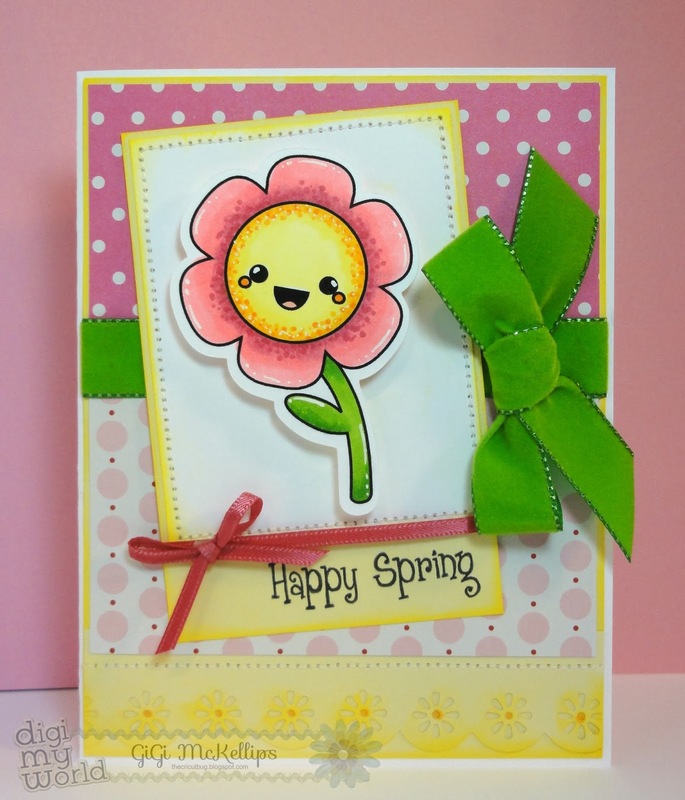 Jaded Blossom in Mini Tag Dies and for the sentiment I masked it of from the Spring Treat Tags. Happy Thursday! 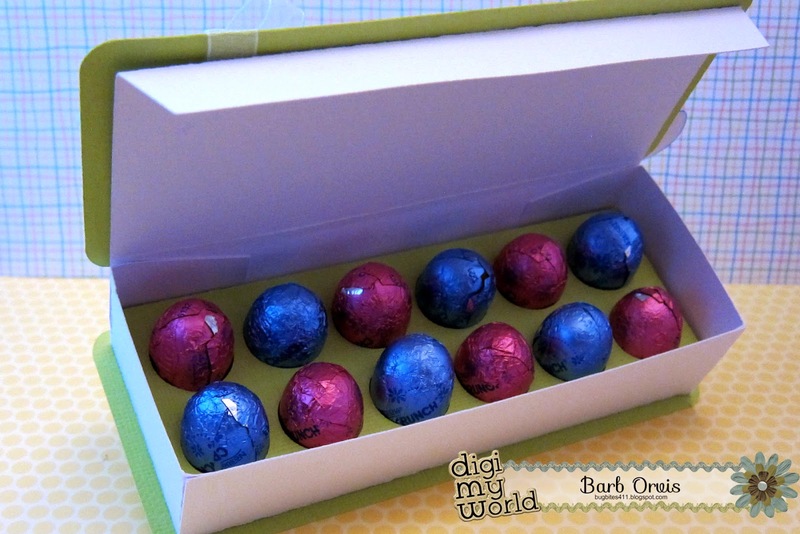 It's Barb with BugBites and I have an Egg-cellent treat for you. 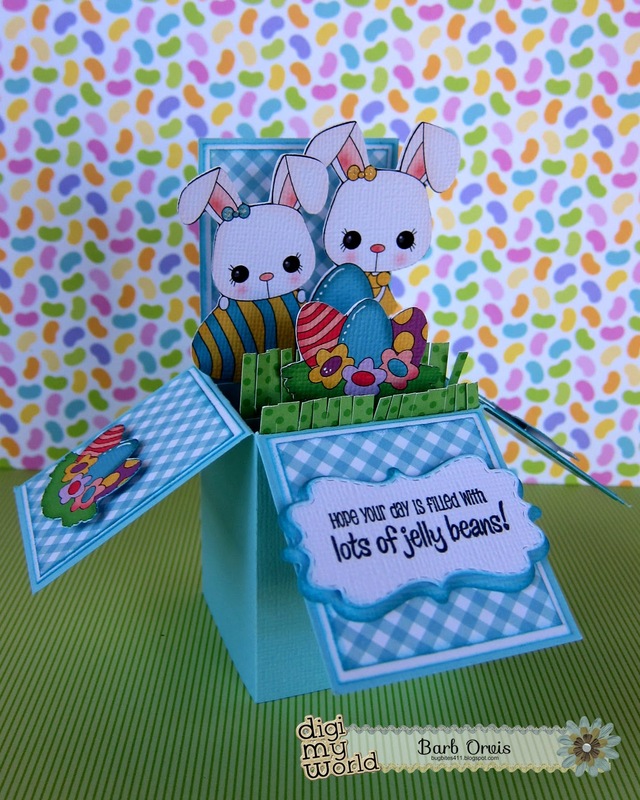 Today I am using a clipart image from the Short-Earred Bunny set. I just love the images in this set. 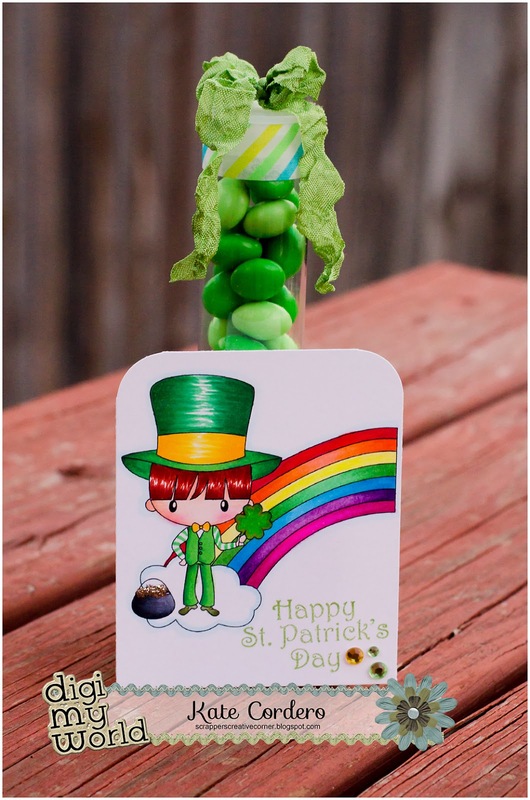 The clipart makes putting these treats together quick and easy. 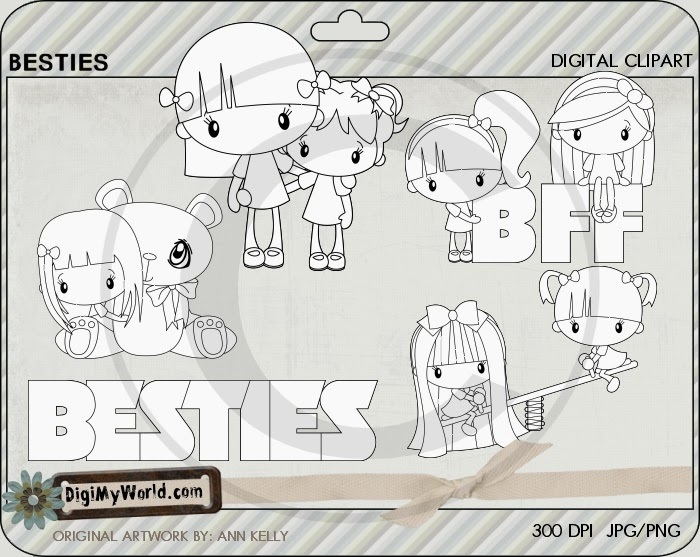 Digi My World store HERE. Here's a little treat bag that I also made. The eggs in the flowers image is from the same set. A quick blog post to announce the winners to our Time Warp Hop!! Amy A - who said "STUNNING Larelyn! These cards are Fabby! Love the coloring and design details for each one showcase the image perfectly! Great job!Hugs!" Shawn Box, who said "Oh what memories........ love it! " Yvonne Morentin who said..."adorable... I love it, the tag is beautiful and her red hair, it perfect." 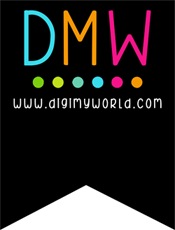 Please email me at Sales@digimyworld.com within the next 2 weeks to claim your prize!! Many thanks and congrats!! 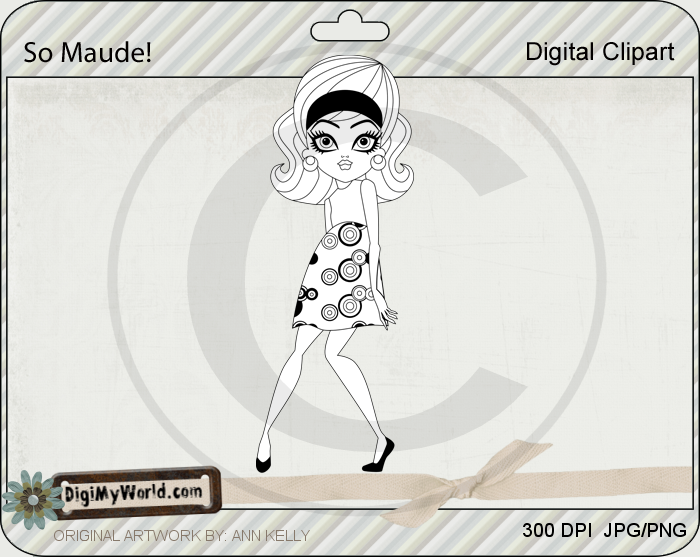 Roaring 20's Girl Mary - Time Warp Digital Stamp release! Hi there! Welcome to the Let's do the Time Warp Blog hop! 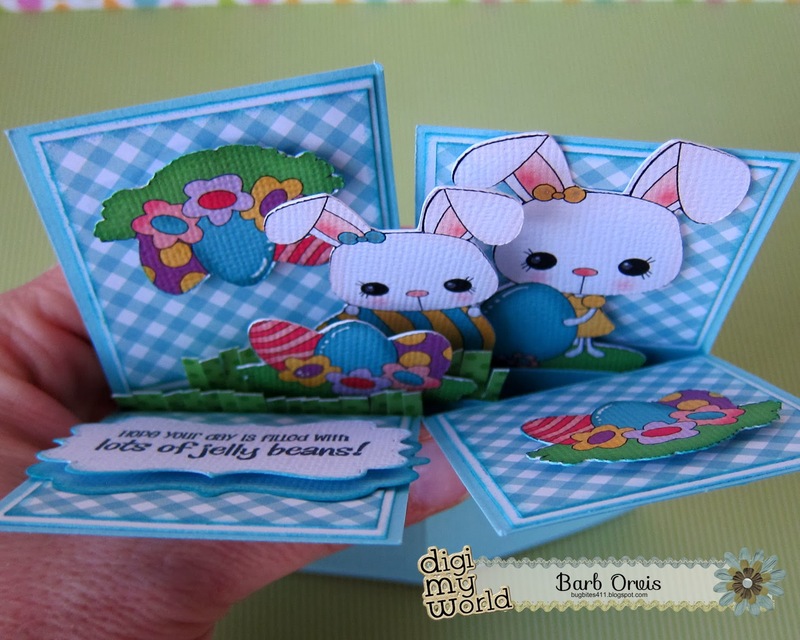 Our blog hop is sponsored by DigiMyWorld and SVG Cutting Files, so sit back, relax and enjoy the inspiring creations the teams have made using the latest Digi My World Digital Stamps! 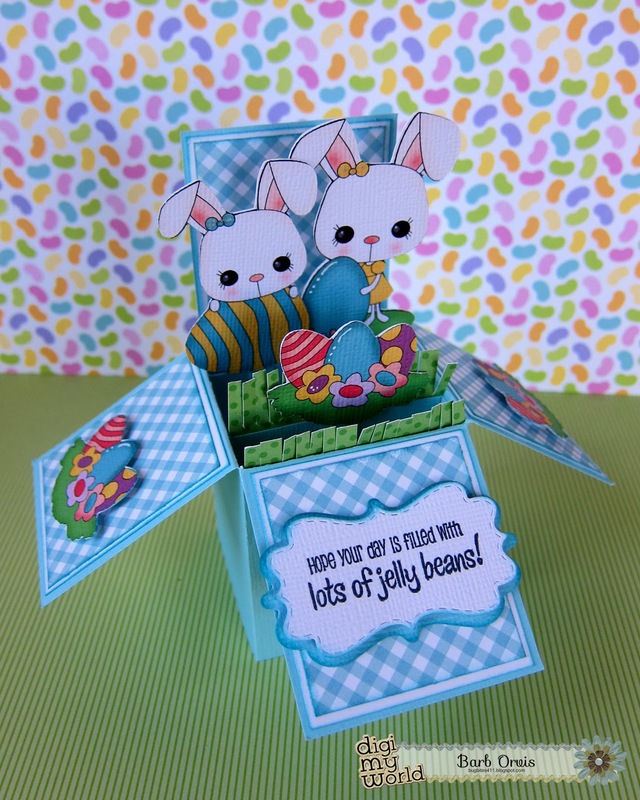 We are releasing 5 new digital stamps and colored clipart for this hop! You should have come here from Larelyn, if not, you may want to start at the beginning with Annie --but I have a complete blog hop line up at the bottom of my post. 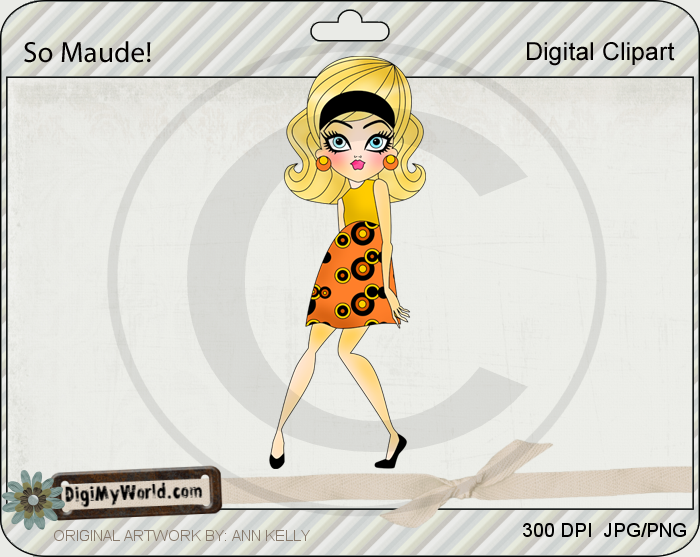 I used the super cute Roaring 20's Mary. I absolutely love her! 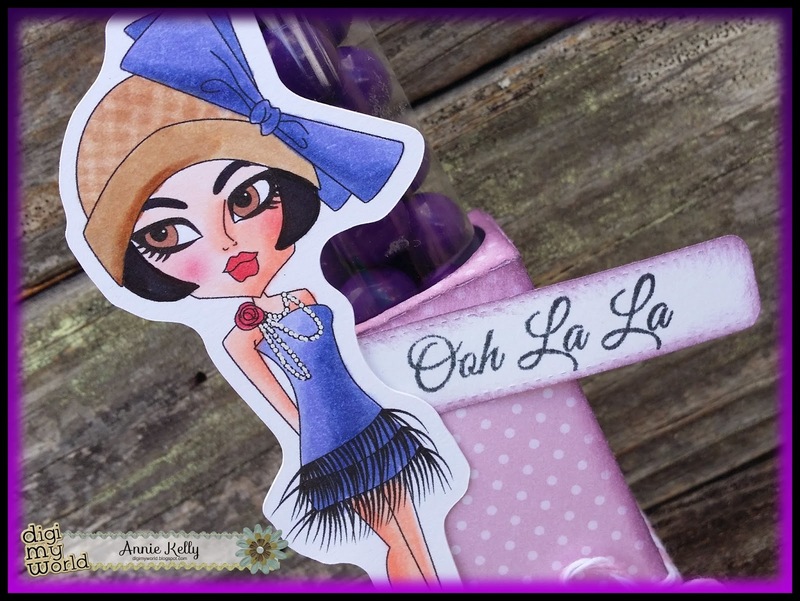 I love the big floppy hat, the paige boy hair cut, the pearls with flower clasp and of course her fringe dress! I Choose soft subtle colors... I wanted a grey/purple feel and I hope I pulled it off! 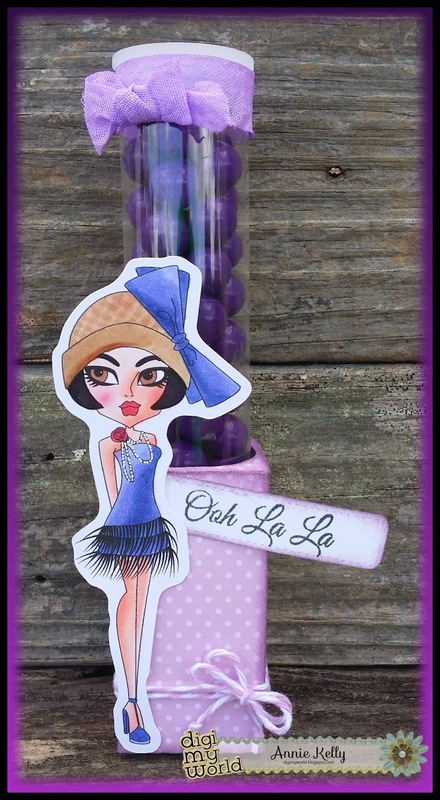 I put Mary on a Candy Tube Holder and added some fun Purple Sixlets to complete the color scheme. I thought the Sentiment from Simple Sayings 3 was perfect....so put that on a mini die. I added some bakers twine from my stash and a little Lavendar Lily Ribbon. Here is a close up of Mary! THis is the final stop on the blog hop. Please make sure you enter soon..we will announce our winners on Monday! For today's post, I am using the image, "Let It Rain Chelsea"! 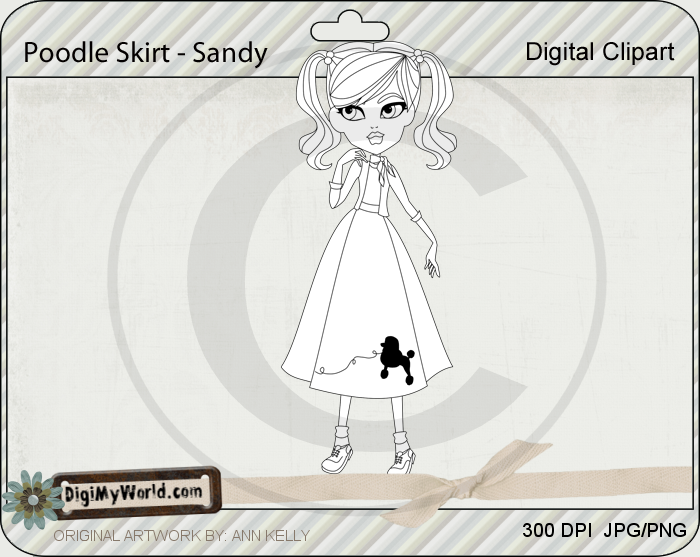 She can be found in the Spring section at the Digi My World Store! I just think she is the sweetest thing! Hello everyone! 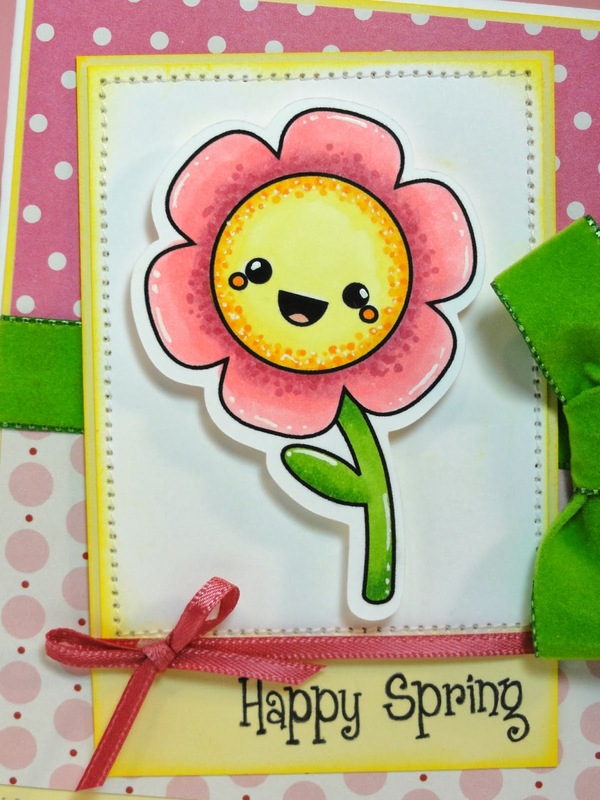 This is GiGi from The Cricut Bug and I have a card to share that I made using the Kawaii Flowers digi stamp. I printed and cut out the flower from the Kawaii Flowers digital stamps. I colored the flower using Copic Markers and added some highlights using a white gel pen. I used my sewing machine to stitch around the mat and along the punched edge border. I punched the border and used ink to highlight the flowers and a Copic marker to dot the centers. 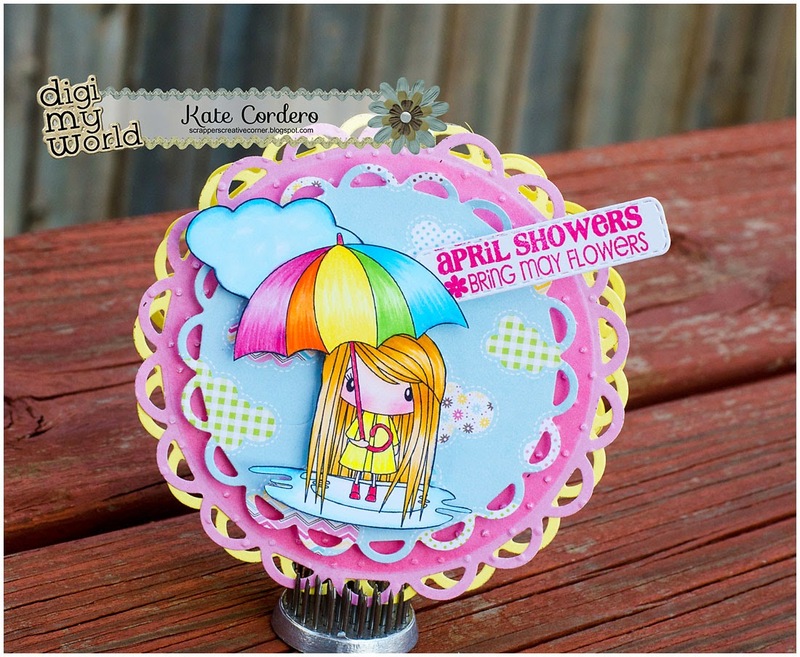 The sentiment is stamped from Peachy Keen's March 2013 SOTM set. 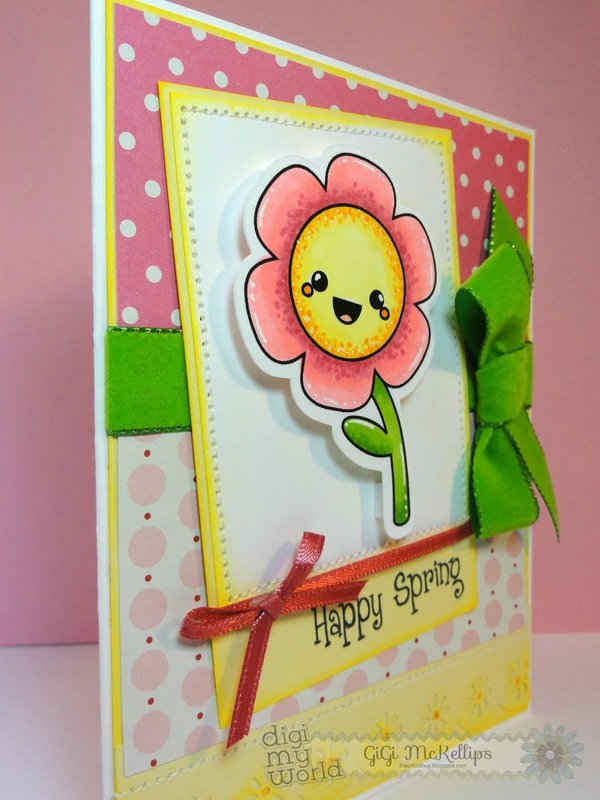 To finish, I added a ribbon to the small mat, the card and mounted the flower on pop dots. Happy St. Patty's Day Everyone. Kate here with you today. Hope you all had a Great Weekend and Celebrated St. Patrick's Day early. I can't even remember the last time I had alcohol, lol For my Project today I used the Wee Bit Irish Digi, isn't he so Adorable. Happy Thursday! 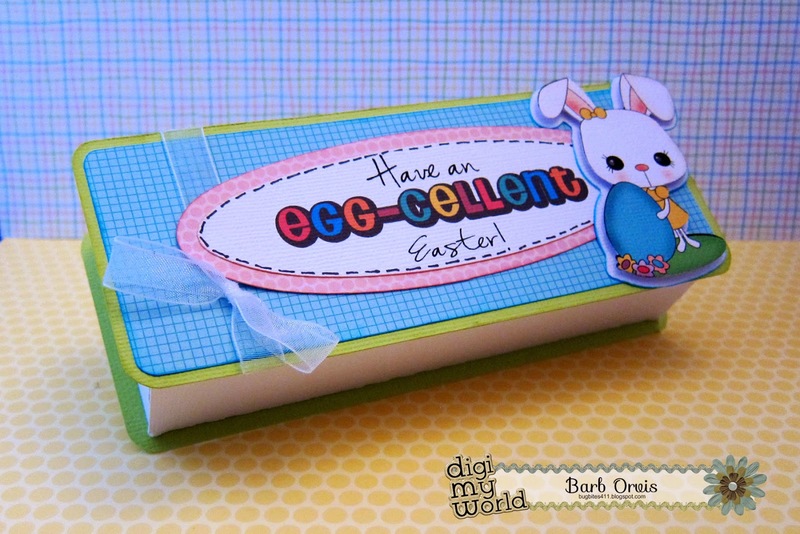 It's Barb with BugBites with a fun Easter card. Box cards seem to be all the craze these days so I had to try one. I followed a tutorial here. Once I had my box done it was time to decorate. 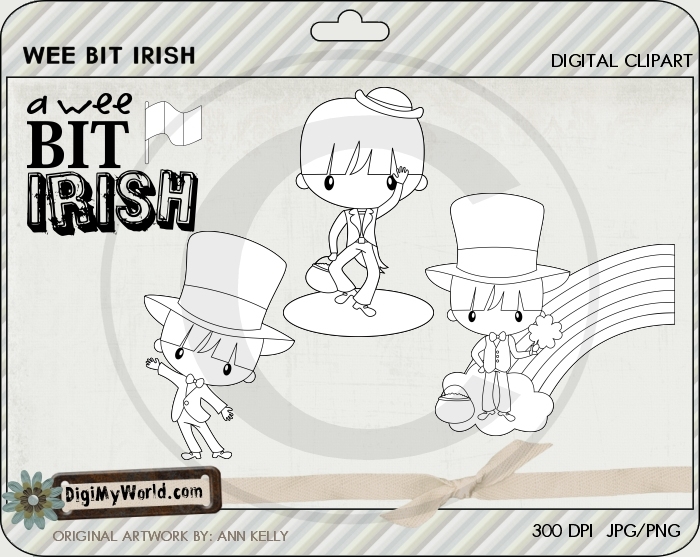 For those of you who may not want to try coloring digital stamps with markers, no worries, DMW has pre-colored clipart for you. Today I am using clipart images form the Short-Earred Bunny set. I brought the artwork into my Silhouette software, did a quick trace and printed and cut. If you don't have software to print and cut, you can simply print the digis and cut around them by hand. Once I had my images ready, I could arrange them and glue them in place. The grass is a strip of 1" paper cut randomly to look like grass. This card is sized to fit nicely in an A2. This is how it folds up. The tag and sentiment are from My Creative Time. It's Larelyn from Handmade From My Heart. Today for my design team project I'm using images from the Garden Girl Penny set. She's just so sweet and I thought the included Seed Packet made the perfect background for her. 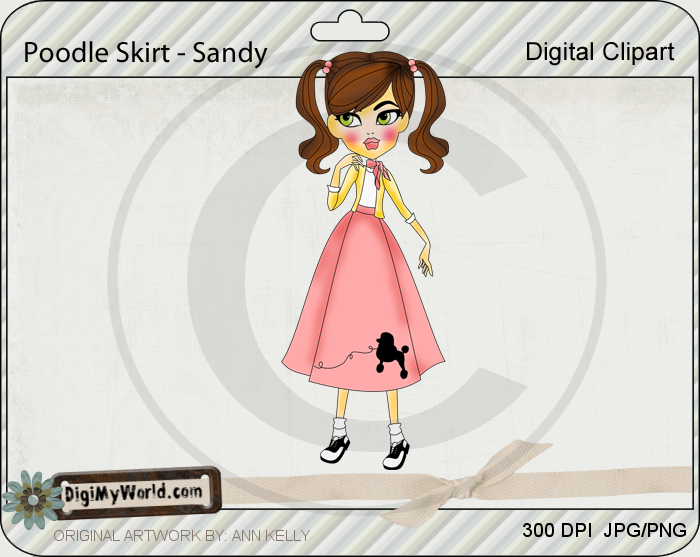 There are so many adorable spring sets in the Digi My World store. I'm sure you'll find the perfect image for your spring-themed designing. Be sure to visit often. 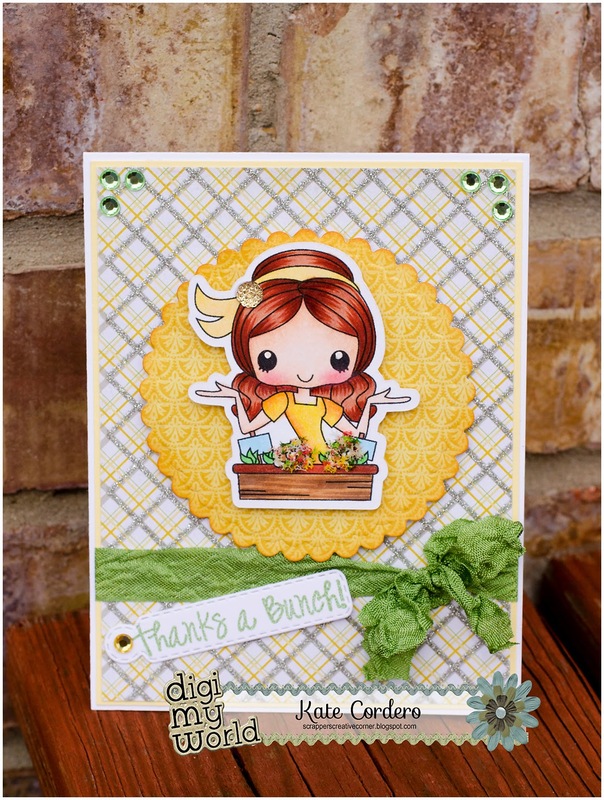 Our DMW designers always have such cute ideas to share with you and our artist, Annie, has been busy creating a FABULOUS new release that we know you're going to love!!! Hello Everyone! Melissa here with a card made with one of the girls from Stella's Valentine. I have a thing for strawberries lately.. so I thought I would color her. Isn't Stella darling! I just love her! Stella is colored with Copic and Spectrum Noir Markers. Hope you liked my card. Thanks for stopping by today. Hello My Awesome Crafty Friends. Hello everyone! This is GiGi from The Cricut Bug and I have a fun card to share. 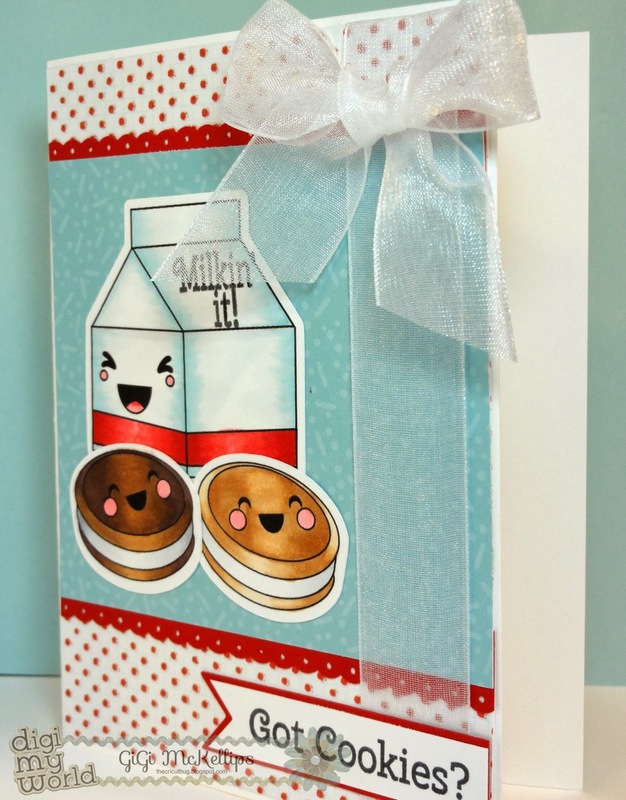 I used the Kawaii Cookie Snacks digi stamp on this card. These cookies and milk just make me smile! And make me a little hungry too LOL! 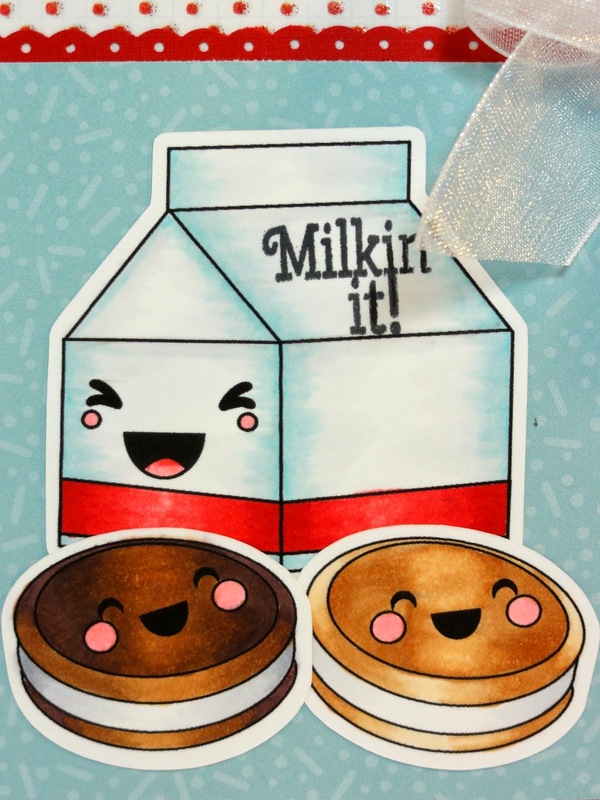 I printed and colored the milk and cookies using the Kawaii Cookie Snacks and cut them out. 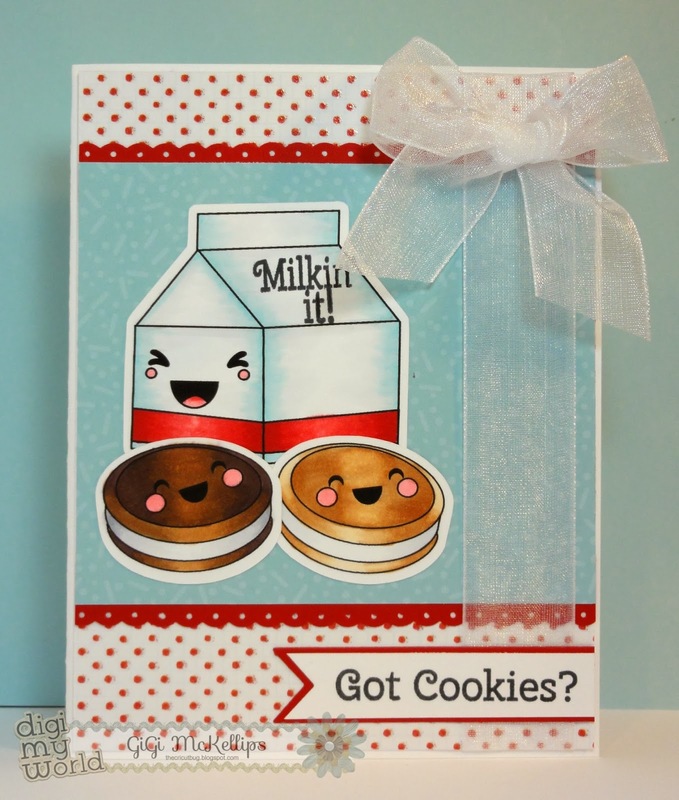 I stamped the sentiment onto the milk container using Peachy Keen's May 2013 SOTM set along with the sentiment on the banner. The banner I cut using My Craft Spot's Banner Dies Straight and added a ribbon. 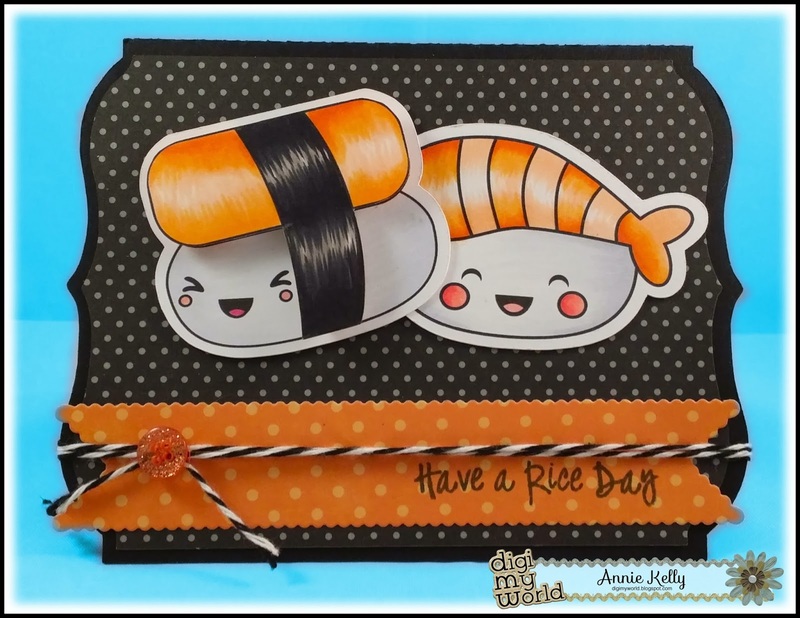 Hi Everyone, Its me, Annie .....today Im sharing a super simple and quick card I made using the Kawaii Sushi. I dont know why, but I just so enjoy coloring kawaii images! I used a minimal color scheme in my project. Black, Grey and Orange. It was lots of fun to use this color combo. I took 2 images for Kawaii Sushi and just went to town. I love the shine in the shrimp roll. I used the Bracket Label Card base from SVG Cutting Files, stamped a cute sentiment from Jaded Blossoms Kawaii Sentiments, and put it on a Flag Die. I tied it off with some Black Licorice Trendy Twine and a cute Glittery Button from Queen and Company.